If you haven’t jumped on the Instant Pot bandwagon yet, it might be high time. 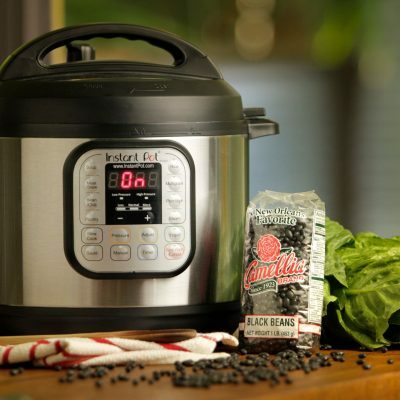 There’s no faster way to cook a pot of beans, and it’s completely idiot-proof for those of us wary of pressure cookers. Plus, once everything’s in the pot, there’s zero effort required. Need even more convincing? It’s the quickest, easiest way we know (it only takes about 30 minutes and features a simple ‘Bean/Chili’ button!) 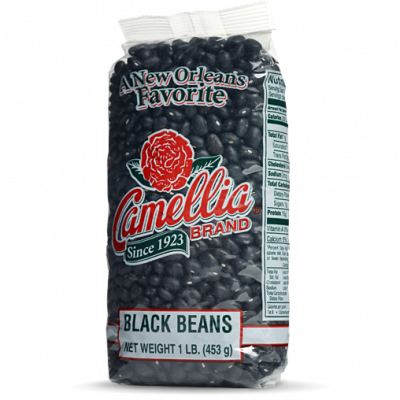 to cook a whole lotta beans that you can then use in several delicious dishes all week long. And here’s the bottom line — cooking your own beans is just plain cheaper, tastier, and healthier than stocking your pantry with canned beans. 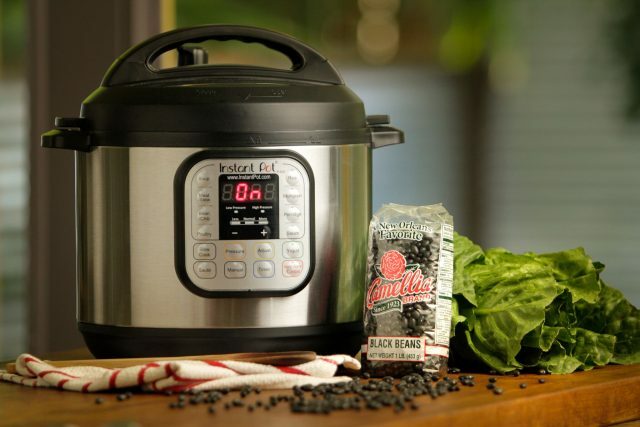 Our basic Instant Pot Black Beans recipe is perfect for making flavorful beans that can be used in so many ways. 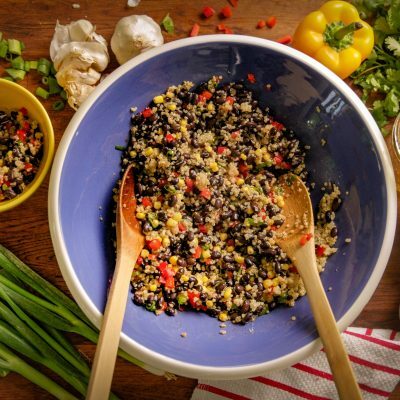 Serve them over rice with your favorite toppings — or use them in the following vegetarian, gluten-free dishes to add healthy protein, fiber, and hearty flavor to your weekly recipe repertoire. 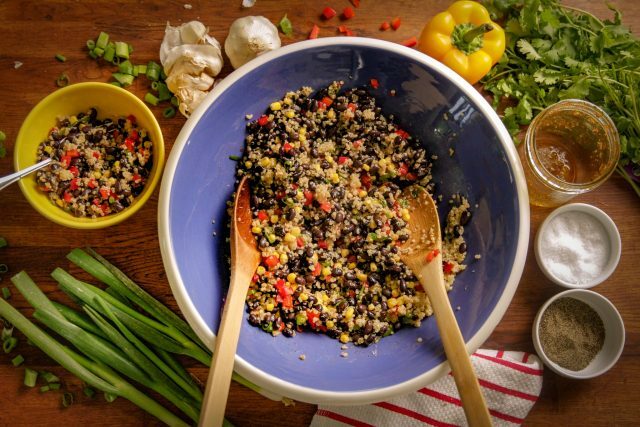 Full of color and fresh veggies, this Black Bean Quinoa Salad is simple to make, nutritious, and great for grabbing on the go. 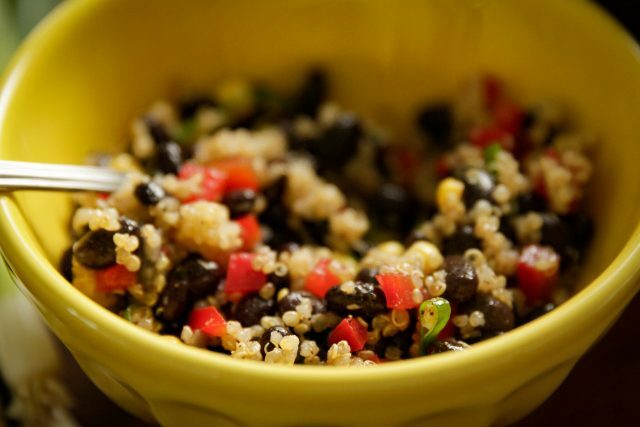 The base is a mixture of cooked quinoa, black beans, corn, bell pepper, and green onions, tossed with a tangy dressing of olive oil, fresh lime juice, chili powder, lime zest, and garlic. The recipe makes a large batch, so you can meal prep by portioning it out in containers and taking it with you for lunch. And it’s perfect for a potluck or get-together, because it tastes wonderful whether you serve it cold or at room temperature — and it’ll easily feed a crowd. 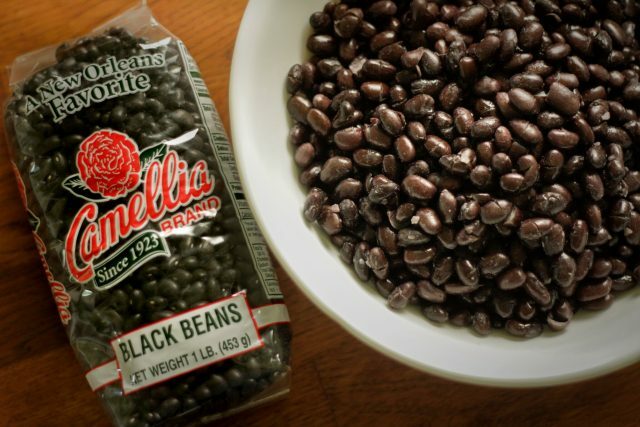 A twist on traditional hummus, our Black Bean Hummus swaps out the usual beans (garbanzos) for black beans. Lime juice replaces the customary lemon juice, while cumin and smoked paprika add deep, smoky flavor. And don’t leave out the tahini (sesame seed paste). 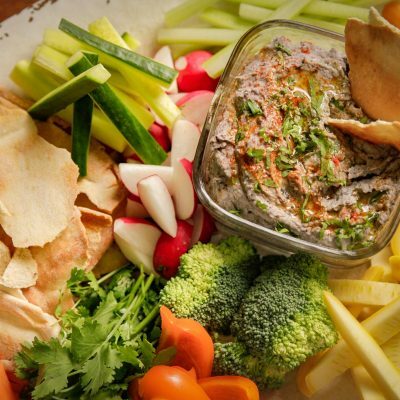 Tahini has a delicate roasted flavor that adds richness and complexity to any kind of hummus. 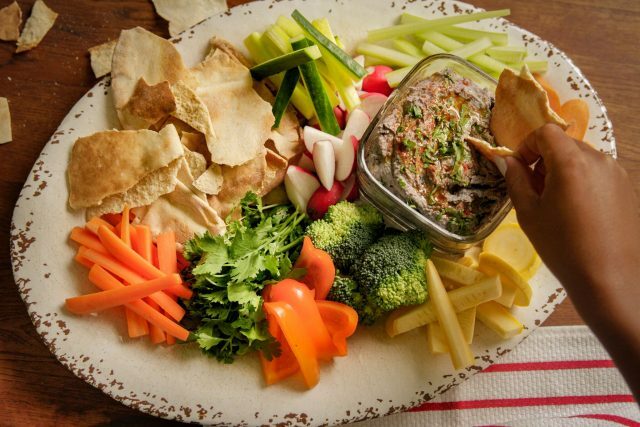 Add a little fresh cilantro and some good quality olive oil, serve with pita chips and fresh cut veggies, and it’s sure to be devoured. Or, meal-prep by portioning it out into ready-to-eat afternoon snacks that you can pop in your bag. 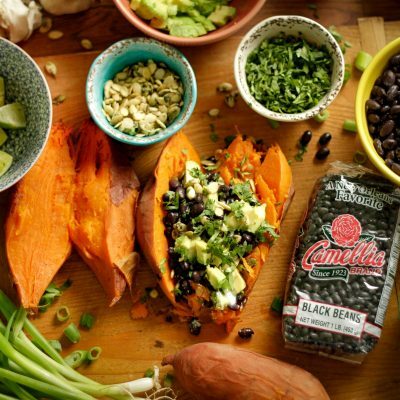 If you’ve never before considered or tasted the flavor combo of black beans & sweet potatoes, you’re in for a treat with these Black Bean-Stuffed Sweet Potatoes. 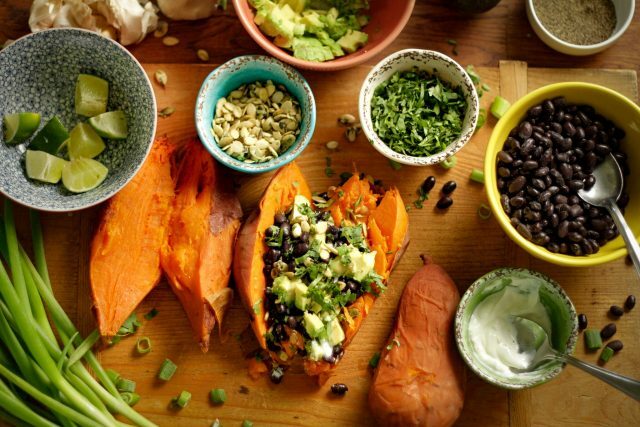 Loaded with nutrients and antioxidants, sweet potatoes benefit from the amazingly savory addition of black beans — plus all the other tasty toppings that add creaminess, crunch, and zest. This dish is as easy as baking or microwaving sweet potatoes and then loading them up with beans, Greek yogurt or sour cream, chunks of ripe avocado, a sprinkling of green onions, cilantro, pepitas, and a squeeze of fresh lime juice. Yum! These are just a few versatile ideas for how to put Instant Pot beans to good use and feed your family. In fact, any of our dried beans, peas and lentils will work with this basic recipe. Use your creativity, get your hands on an Instant Pot if you haven’t already, and add quick and easy cooked beans to a whole host of favorite dishes – from Refried Beans, Fresh Two-Bean Salsa, and Shrimp and Black Bean Skillet Casserole to Bean & Bacon Breakfast Tacos, Chipotle Pinto Bean Tortilla Soup, and Flourless Black Bean Brownies. And if you end up not polishing off all of your cooked beans within a week, portion what’s left into small storage bags, and freeze. 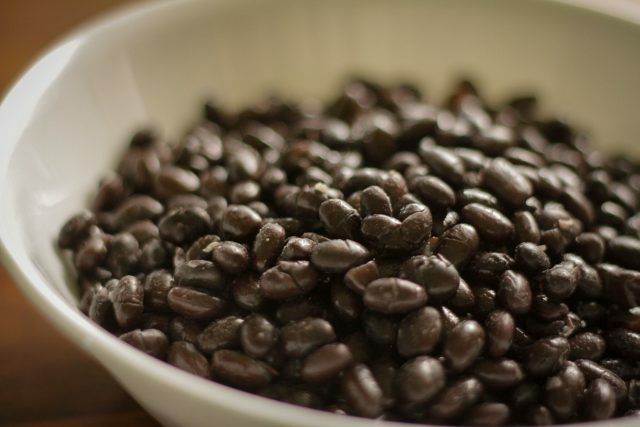 Then, the next time you need beans for a recipe, just grab them from the freezer instead of reaching for a can. What else can you cook in an Instant Pot? Well, it’s also an awesome way to make all kinds of one-pot wonders, especially Red Beans & Rice. So check it out, and give it a spin — you certainly won’t be sorry.